Kicks n Sticks has the most amazing camp – it’s like a dream come true for hockey players. It offers the perfect combination: improve your game of hockey in the morning and try other fun sports and activities as well as hockey in the afternoon! This Autumn, we are holding 4 great 2-day hockey camps in the half-term holidays for kids aged between 4 and 12 in Schiedam, Breda, Oss and Oisterwijk. The programme is a cool mix of fun and educational hockey classes, a guest clinic featuring a real hockey star and, of course, splendid camp games. We have divided the camps into two age-related categories to make sure the children learn as much as possible while enjoying themselves as much as possible: ages 4-6 and ages 7-12. The camps start at 9.30 a.m. and finish at 3.30 p.m. To make life easier for parents, the children can be dropped off at 8.30 a.m. and picked up at 4.30 p.m.
DON’T WAIT TOO LONG – SIGN UP NOW! 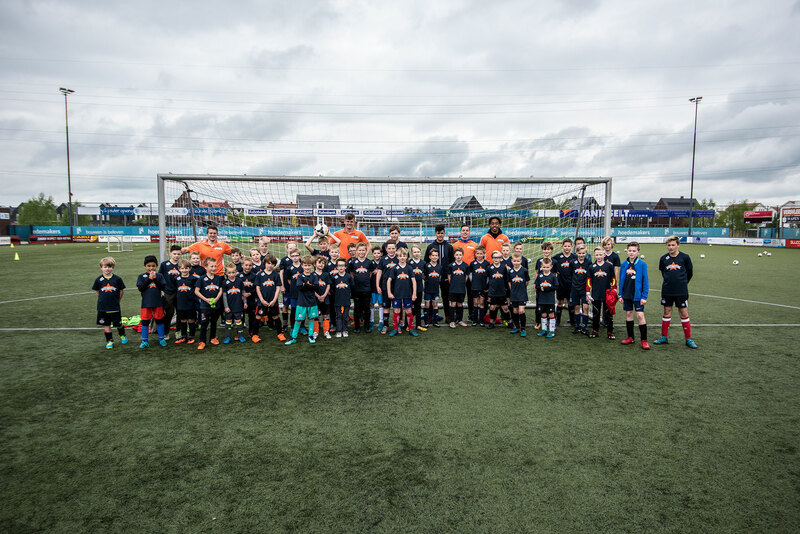 This Autumn, we are holding most amazing 2-day football camp in all Brabant in the half-term holidays, on 18 & 19 October. Learn all there is to know about football and join in our fun, cool activities. In short: 2 days that you will remember for the rest of your life! The camp is intended for children aged between 4 and 12; it starts at 9.30 a.m. and finishes at 3.30 p.m. To make life easier for parents, the children can be dropped off at 8.30 a.m. and picked up at 4.30 p.m.